Since it was based on the movie, there were plenty of impressive (for NES anyway) cut-scenes featuring key moments of the movie and some just for the game. Except the plot of the game is shortened to Batman just trying to reach the Joker. Doing so he must go through chemical plants, caverns, and even a cathedral to meet the insane clown. I guess a lot of the areas weren’t in the movie but were you expecting a dating mini-game with an 8-bit Vicki Vale? 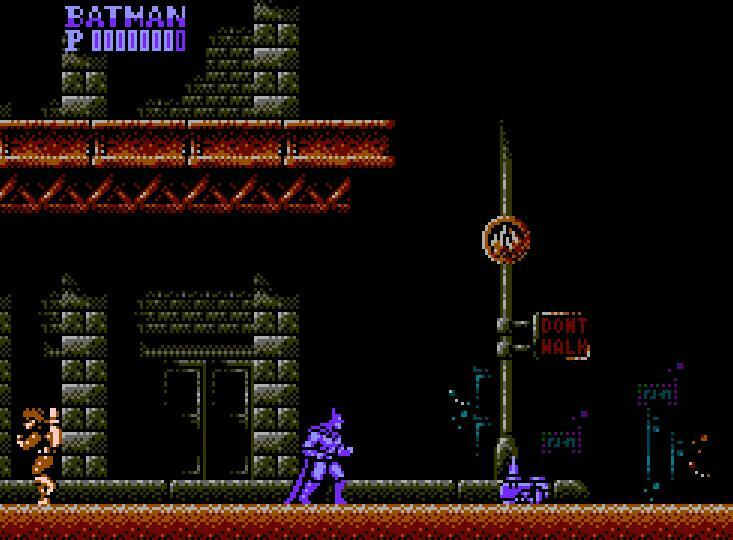 Another item he can find is health to boost his life meter, which at full strength allows him to take several hits before dying, although even Batman’s death is impressive, as he bursts into a flash of fire. Suffering damage does not incur knockback, and grants a brief moment of invulnerability. 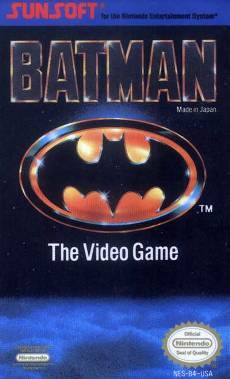 Mastering Batman’s skills in movement, melee combat, long-range weaponry, and inventory management will be key to success, as this Batman game boasts a challenging difficulty curve that will prove to be a worthy conquest for even a seasoned retro gamer.